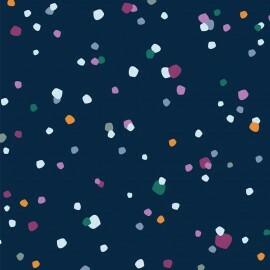 Superb Confetti 100% Rayon fabric from the Ravishing Rayons collection by Dashwood studio. 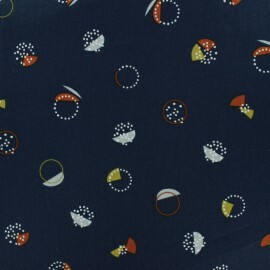 This light and very fluid fabric with patterned dots on a dark blue background will be perfect for spring creations! Create elegant, flowing clothes such as dresses, skirts or blouses. 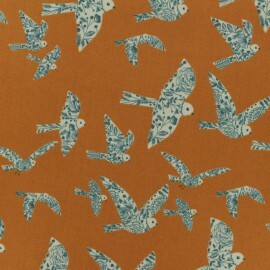 Superb Dove 100% Rayon fabric from the Ravishing Rayons collection by Dashwood studio. 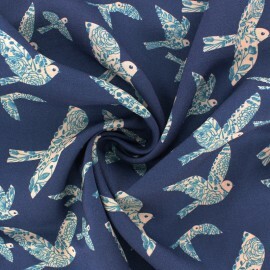 This light and very fluid fabric with delicate patterned dove on a blue background will be perfect for spring creations! Create elegant, flowing clothes such as dresses, skirts or blouses. 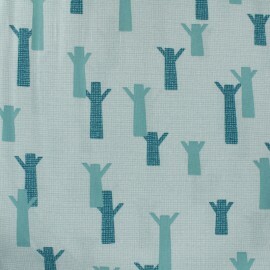 Superb Cassie 100% Rayon fabric from the Ravishing Rayons collection by Dashwood studio. This light and very fluid fabric with delicate vintage waterlilies patterns on a dark grey background will be perfect for timeless creations! Create elegant, flowing clothes such as dresses, skirts or blouses. 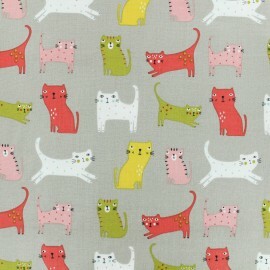 Superb 100% Rayon fabric from the Ravishing Rayons collection by Dashwood studio. 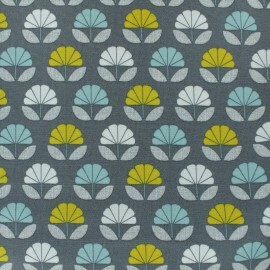 This light and very fluid fabric with delicate flowery patterns on a pearly grey background will be perfect for your spring creations! Create elegant, flowing clothes such as dresses, skirts or blouses. 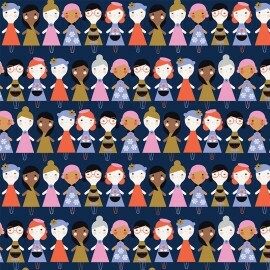 You love patterns full of personality & fun? The Dashwood brand, break the rules and with its collections trendy and inspired by children's drawings. 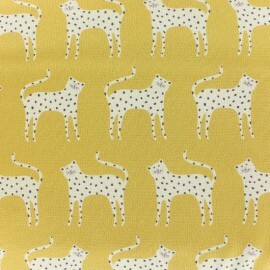 With this 100% cotton fabric from Ditsie collection, with pretty leopard patterns on a mustard yellow background and create amazing clothes and accessories for children with a wild touch. 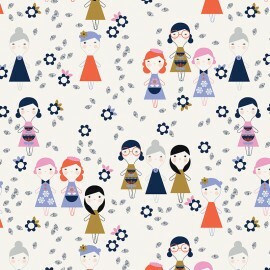 You love patterns full of personality & fun ? The Dashwood brand, break the rules and with its collections trendy and inspired by children's drawings. 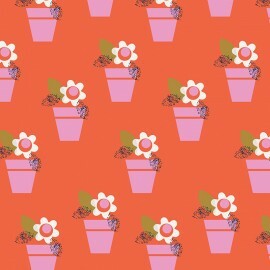 With this 100% cotton fabric from Amelie collection, with pretty vintage flowers patterns on a red background and create amazing clothes and accessories for children with a vintage touch. 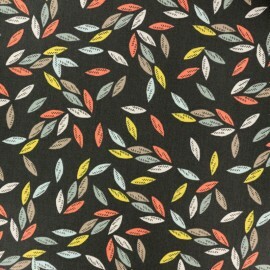 You love patterns full of personality & fun ? The Dashwood brand, break the rules and with its collections trendy and inspired by children's drawings. 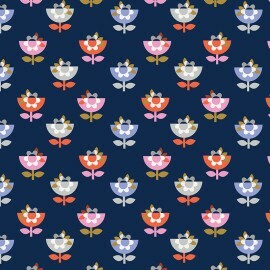 With this 100% cotton fabric from Amelie collection, with pretty vintage flowers patterns on a navy blue background and create amazing clothes and accessories for children with a vintage touch. 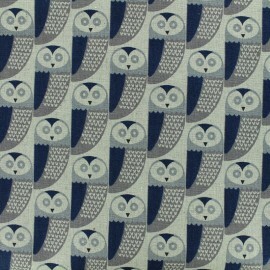 You love patterns full of personality & fun ? The Dashwood brand, break the rules and with its collections trendy and inspired by children's drawings. 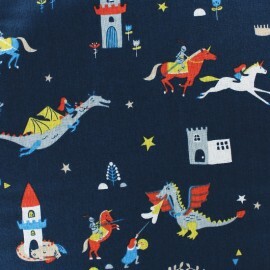 With this 100% cotton fabric from Amelie collection, with pretty dolls patterns on a navy blue background and create amazing clothes and accessories for children with a vintage touch. You love patterns full of personality & fun ? The Dashwood brand, break the rules and with its collections trendy and inspired by children's drawings. 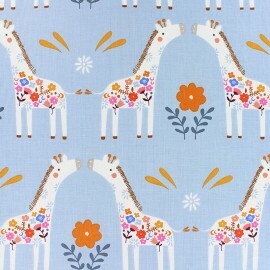 With this 100% cotton fabric from Amelie collection, with pretty dolls patterns on a raw background and create amazing clothes and accessories for children with a vintage touch. You love patterns full of personality & fun ? The Dashwood brand, break the rules and with its collections trendy and inspired by children's drawings. 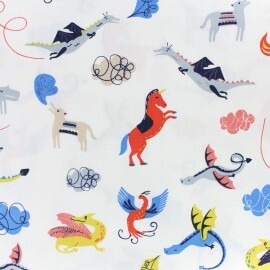 With this 100% cotton fabric from Nesting Birds collection, with pretty graphic patterns on a ice blue background and create amazing clothes and accessories for children, with hygge and scandinavian style. 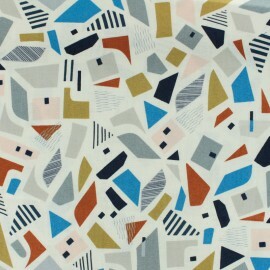 You love patterns full of personality & fun ? The Dashwood brand, break the rules and with its collections trendy and inspired by children's drawings. 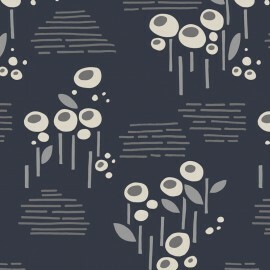 With this 100% cotton fabric from Nesting Birds collection, with pretty graphic flower patterns on a grey background and create amazing clothes and accessories for children, with hygge and scandinavian style. You love patterns full of personality & fun ? The Dashwood brand, break the rules and with its collections trendy and inspired by children's drawings. With this 100% cotton, Gift fabric from Emi & the bird collection, with pretty gifts patterns on a pink background and create amazing clothes and accessories for children. You love patterns full of personality & fun ? The Dashwood brand, break the rules and with its collections trendy and inspired by children's drawings. 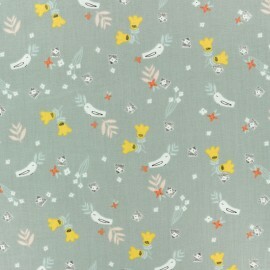 With this Bird 100% cotton, fabric from Emi & the bird collection, with pretty tiny bird patterns on a light grey background and create amazing clothes and accessories for children. You love patterns full of personality & fun ? The Dashwood brand, break the rules and with its collections trendy and inspired by children's drawings. 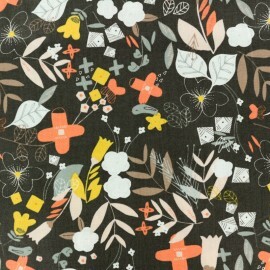 With this Garden, 100% cotton fabric from Emi & the bird collection, with pretty colorful leaves and floral patterns on a dark grey background and create amazing clothes and accessories for children. You love patterns full of personality & fun ? The Dashwood brand, break the rules and with its collections trendy and inspired by children's drawings. 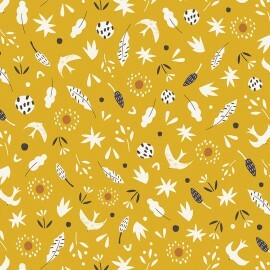 With this 100% cotton fabric from Emi & the bird collection, with pretty colorful leaves patterns on a deep yellow background and create amazing clothes and accessories for children. 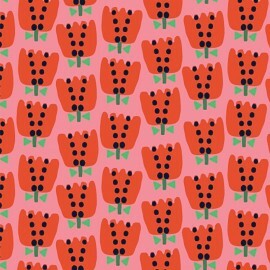 You love patterns full of personality & fun ? The Dashwood brand, break the rules and with its collections trendy and inspired by children's drawings. 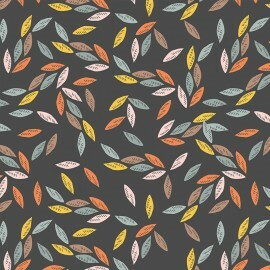 With this 100% cotton fabric from Emi & the bird collection, with pretty colorful leaves patterns on a dark grey background and create amazing clothes and accessories for children. You love patterns full of personality & fun ? The Dashwood brand, break the rules and with its collections trendy and inspired by children's drawings. 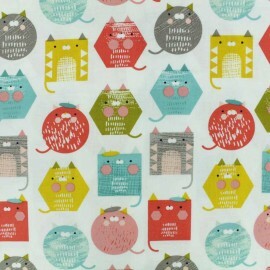 With this 100% cotton fabric from Emi & the bird collection, with pretty colorful cat patterns on a off white background and create amazing clothes and accessories for children. You love patterns full of personality & fun ? The Dashwood brand, break the rules and with its collections trendy and inspired by children's drawings. 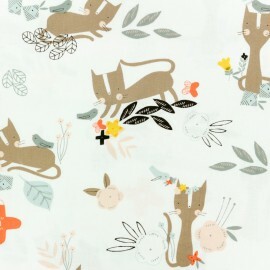 With this 100% cotton, fabric from Emi & the bird collection, with pretty cat playing with a tiny bird patterns on a off white background and create amazing clothes and accessories for children. You love patterns full of personality & fun ? The Dashwood brand, break the rules and with its collections trendy and inspired by children's drawings. 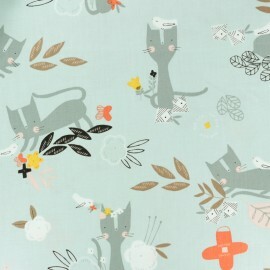 With this 100% cotton, fabric from Emi & the bird collection, with pretty cat playing with a tiny bird patterns on a light grey background and create amazing clothes and accessories for children. You love patterns full of personality & fun ? The Dashwood brand, break the rules and with its collections trendy and inspired by children's drawings. 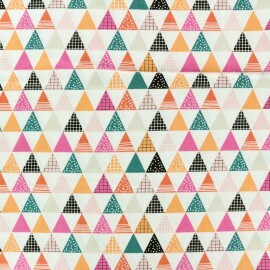 With this 100% cotton, Triangle fabric from Geo Forest collection, with pink, green and black triangles patterns on a white background and create amazing clothes and accessories for children. You love patterns full of personality & fun ? The Dashwood brand, break the rules and with its collections trendy and inspired by children's drawings. 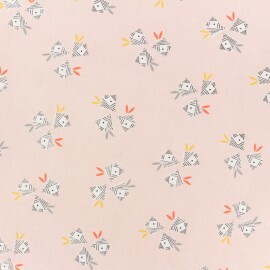 With this 100% cotton, Flowers fabric from Geo Forest collection, with pink and orange flowers patterns on a white background and create amazing clothes and accessories for children. You love patterns full of personality & fun ? The Dashwood brand, break the rules and with its collections trendy and inspired by children's drawings. 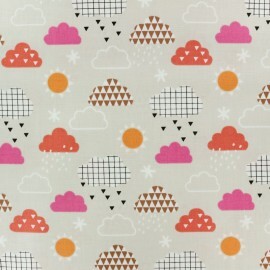 With this 100% cotton, Clouds fabric from Geo Forest collection, with graphic clouds patterns on a light beige background and create amazing clothes and accessories for children. You love patterns full of personality & fun ? The Dashwood brand, break the rules and with its collections trendy and inspired by children's drawings. 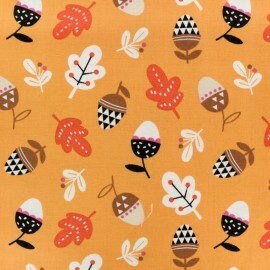 With this 100% cotton, Acorn fabric from Geo Forest collection, with graphic acorns patterns on a orange background and create amazing clothes and accessories for children. You love patterns full of personality & fun ? The Dashwood brand, break the rules and with its collections trendy and inspired by children's drawings. 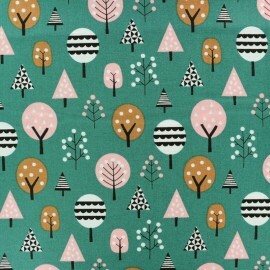 With this 100% cotton, Trees fabric from Geo Forest collection, with graphic trees patterns on a green background and go on amazing adventures and create amazing clothes and accessories for children. 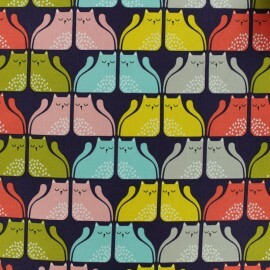 You love patterns full of personality & fun ? 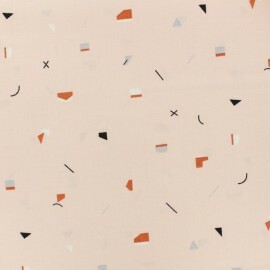 The Dashwood brand, cleans up the codes with its collections inspired by children's drawings. 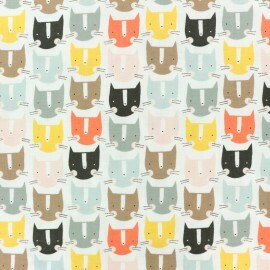 With this cotton fabric from "Cool for cats" collection, with pretty and colorful cats on a beige background, create amazing clothes and accessories to your children. You love patterns full of personality & fun ? The Dashwood brand, cleans up the codes with its collections inspired by children's drawings. 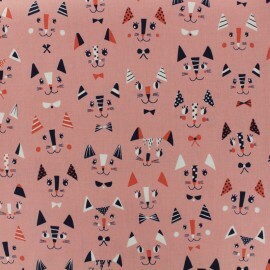 With this cotton fabric from "Cool for cats" collection, with pretty cats on a pink background, create amazing clothes and accessories to your children. You love patterns full of personality & fun ? The Dashwood brand, cleans up the codes with its collections inspired by children's drawings. 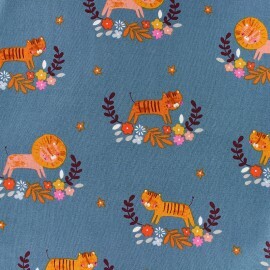 With this cotton fabric from "Cool for cats" collection, with pretty loving cats on a navy blue background, create amazing clothes and accessories to your children. 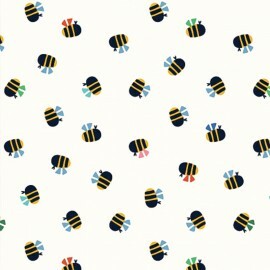 You love patterns full of personality & fun ? The Dashwood brand, cleans up the codes with its collection inspired by children's drawings. 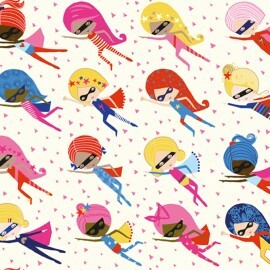 With this Supergirl cotton fabric on pink tones, create amazing clothes and accessories to your children. 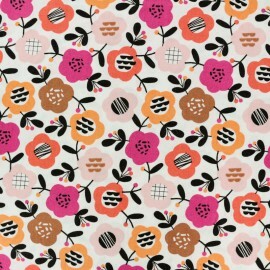 You love patterns full of personality, fun or offbeat? The Dashwood brand, cleans up the codes with its collection inspired by children's drawings. A garden of Eden, pop and cheerful that invites your soul to super colorful creations. A big crush love for this exceptional series. 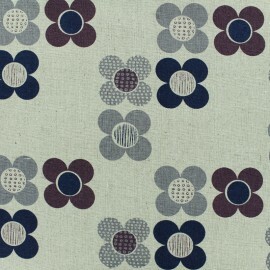 Love fashion fabrics? 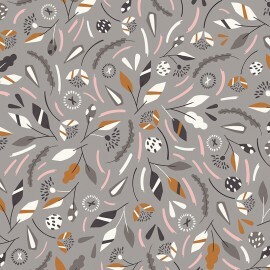 Fond of Dashwood Studio collections? Discover New Horizons collection, a geometric collection inspired by by maps and how the world looks from above. Meet Circle. 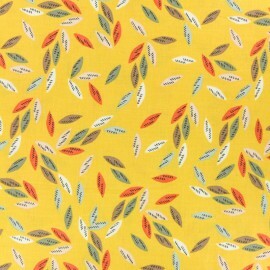 Love fashion fabrics? 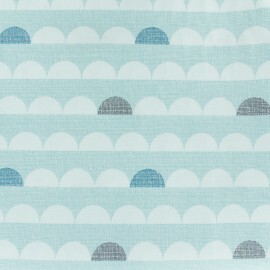 Fond of Dashwood Studio collections? Discover New Horizons collection, a geometric collection inspired by by maps and how the world looks from above. Meet alinea. Love fashion fabrics? Fond of Dashwood Studio collections? Discover New Horizons collection, a geometric collection inspired by by maps and how the world looks from above. Meet abstract. Love fashion fabrics? Fond of Dashwood Studio collections? 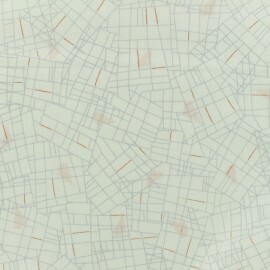 Discover New Horizons collection, a geometric collection inspired by by maps and how the world looks from above. Meet Terrazzo. 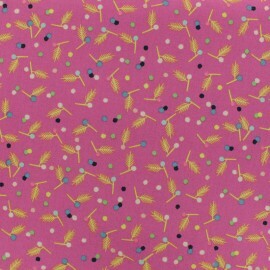 Love fashion fabrics? Fond of Dashwood Studio collections? Discover Flock collection, with a wingspan of patterns and a cut-out feel. Meet flying birds. Love fashion fabrics? 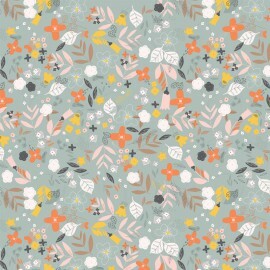 Fond of Dashwood Studio collections? Discover Flock collection, with a wingspan of patterns and a cut-out feel. 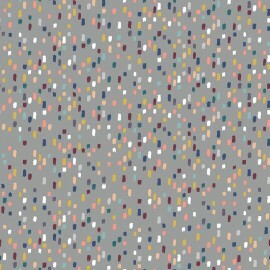 Meet mini, a graphic pattern. Stunning and colorful designs and contemporary cotton prints, to inspire all those that discover them. Ideal to make clothes, creative sewing works or patchwork !